Mountain Colors Hand Painted Yarns: Need help finding our Yarn? Need help finding our Yarn? We sometimes have folks contact us who are having trouble locating our yarns in their area of the country. Sometimes they don't have a local yarn store, sometimes their local shop doesn't stock our yarns, and sometimes their shop has some of our yarns but not in the colorway or yarn style desired. If you fall into one of these categories please let us help you!! 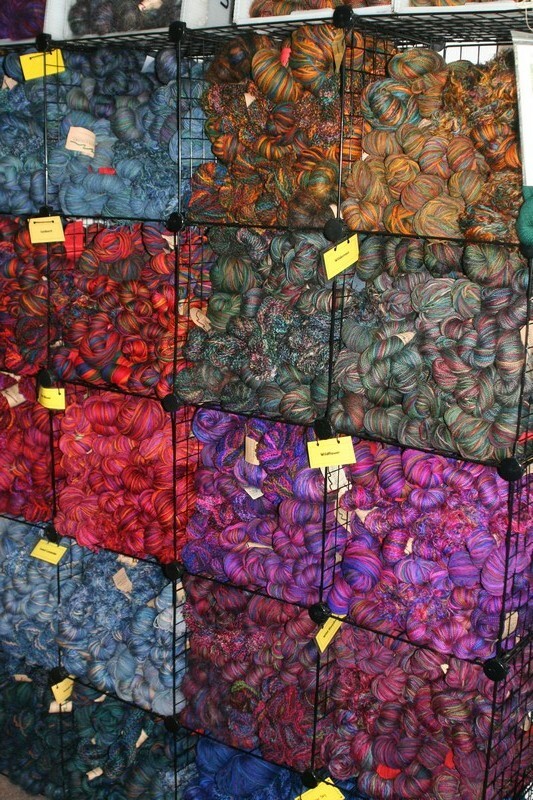 Our Mountain Colors website has a Yarn Stores page. On that page we list stores by region of the country. Many have their email and website information listed. Also we have Special Orders shops and these stores would love to custom order any colorway, quantity, etc that you need. These Special Orders shops are also listed on our website. If for some reason you still can't locate exactly what you want feel free to contact us by email infoATmountaincolorsDOTcom (change the AT and the DOT to the usual email symbols) or by phone 406-961-1900. We are open weekdays from 9am-5pm Mountain time. Call for assistance or come visit if you are in our area of western Montana.